Summer is the season for fun in the sun, relaxation, and spending time with family. And what better way to spend time with your loved ones than in sunny Las Vegas? 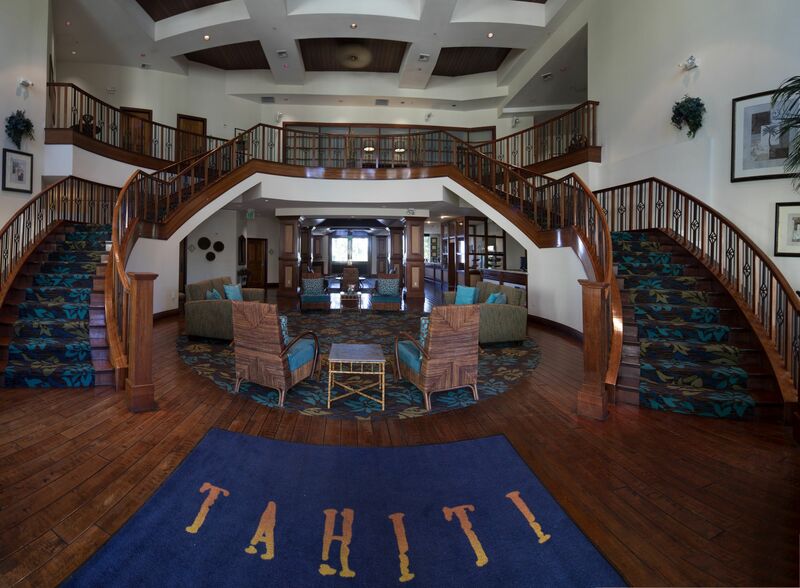 Let us help you plan a family reunion to remember at Tahiti Resort. 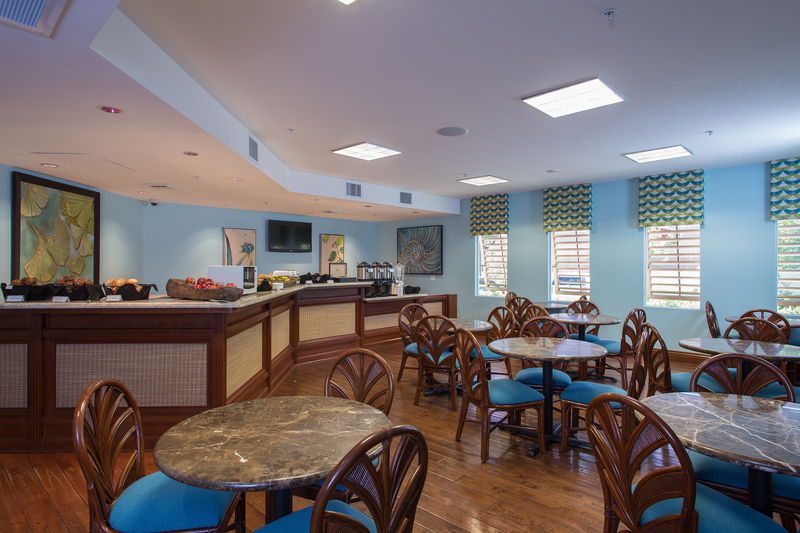 Unlike some other resorts in the Las Vegas Valley, Tahiti Resort isn’t located on the Strip. This fact alone makes it perfect for family reunions and vacations because it’s less crowded and far quieter than your typical Vegas resort. 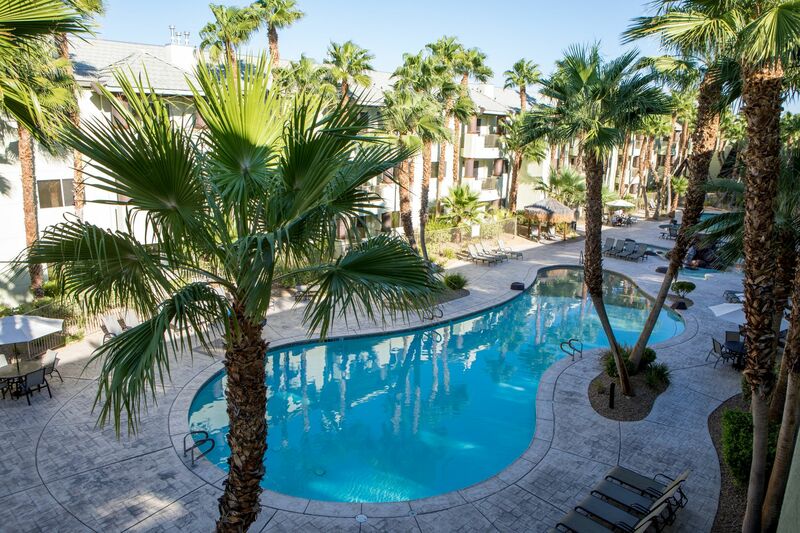 Families enjoy the slower pace at Tahiti Resort, yet the hustle and excitement of the Las Vegas Strip is only a quick two-mile drive away. For those looking for maximum value, Tahiti Resort doesn’t disappoint. The island-inspired oasis offers large suites – some with fully-equipped kitchens and stackable washer/dryer units – that can accommodate large families and guests of all ages with ease. Add in two 24-hour pools and hot tubs and you have a combination that is simply unbeatable. Adventuredome Theme Park: Located under the big pink dome adjacent to Circus Circus, this 5-acre indoor theme park offers rides and attractions that range from toddler-friendly to downright exhilarating. An arcade, mini-golf, 4-D rides and carnival-style games are also on-site. Shark Reef: Head over to Mandalay Bay and walk your group through Shark Reef – a 1.3 million gallon exhibit that features a walk-through shark tunnel and more than one hundred unique species of aquatic life. 14 separate exhibits and a calm, cool setting keep kids of all ages entertained and out of the summer heat. Family-Friendly Shows: From the Blue Man Group to Mystere by Cirque du Soleil to the Magic of Seth Grabel, kids, teens and adults of all ages will love the world-class entertainment options available in and around Las Vegas. Check out this comprehensive list of family-appropriate shows that’ll make your visit to the Entertainment Capital of the World an unforgettable one. Marvel Avengers S.T.A.T.I.O.N. : The Scientific Training and Tactical Intelligence Operative Network opens up the Marvel Universe and puts kids and adults right in the heart of the action. Leave it to Las Vegas to offer such a unique experience – one where you can see Thor’s hammer, Captain America’s shield and even Black Widow’s weapons and clothing under one roof. Grand Canyon: If you’ve never seen it in person before, the Grand Canyon is way more than just a big hole in the ground. Visitors of all ages marvel in the natural splendor that has resulted from the Colorado River’s diligent work – and adventurous families may even want to check it out by air via one of Vegas’ reputable helicopter tour companies. Bootleg Canyon Ziplines: If you and your family are thrillseekers, consider heading out to nearby Boulder City where you’ll find Flightlinez, a zipline outfit that certainly puts the ‘zip’ in ziplining. Reaching speeds of up to 60 MPH, you and your guests will traverse more than a mile and a half of the Mojave Desert before you depart back home. If you don’t want to drive out to the desert or don’t have a car, Downtown Las Vegas offers the SlotZilla Zipline that jettisons you above the Fremont Street Experience at 40 MPH! Wet ‘n’ Wild Water Park: Located just 10-15 minutes down the highway from Las Vegas sits a local favorite – Wet ‘n’ Wild. With more than 25 attractions and water slides, this water park offers something for everyone. Little ones love the lazy river and wave pool, while more adventurous visitors get their hearts racing with massive water slides and thrilling attractions. Scheduling a family reunion in Las Vegas is the perfect excuse to get everyone together for several days or more of fun and family bonding. 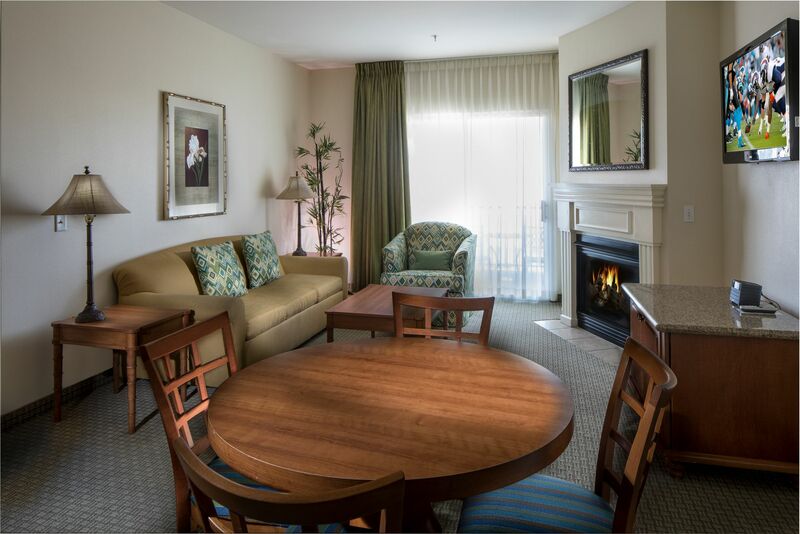 For more information about a great place to stay and all the local, family-friendly attractions in Las Vegas, contact the reservations group at Tahiti Resort today.